The Leopards fell to the Bulldogs 39-31 in the first Dual Team Tournament match in team history. Dane Dugan won via pin, Marshall Vick won by major decision, and John DiAntonio won by decision. Dane Dugan and Dale Welsh won matches for the Leopards, but the Warriors won the rest to claim a 58-6 NBC Win. 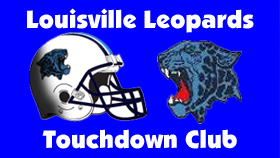 The Leopards are now 1-1 in the conference. Paul Lycan, Andrew Cook, Brock Mehl, Logan Skolosh, Dalton Deckerd, and Jonathan Middleton all won by pin for Louisville during a 71-6 rout of visiting Salem. The Leopards defeated Salem 41-30 back on January 31, but fell to Alliance 57-16 Thursday night. Louisville finishes 5-11 overall and 2-5 in conference play. Marshall Mason, Dakota Oliver, and Todd Bradley all won by pin for Louisville, while Dane Dugan & Mark Robison also won decisions. The Leps are now 4-10 overall and 1-4 in the NBC. Dalton Deckerd and Mark Robison each earned pins for the Leopards, while Dakota Oliver and Marshall Mason won by technical fall. Marshall Vick’s decision in the final match decided the outcome in favor of the Leps. Dakota Oliver won by technical fall, while Mark Robison, Dale Welsh, Anthony Kirkbride, John DiAntonio, and Dane Dugan won by decision but it was not nearly enough to overcome the Warriors 5 pins.